In addition, Action Ambulance Services uses its ID cards as a means of marketing itself to the community. “We are accredited by the Commission on Accreditation of Ambulance Services, and we are involved with the Malcolm Baldrige National Quality Program,” said Woronka. “We want people to know this.” The cards also carry the organization’s key strategic objectives, as well as phone numbers to hospitals so emergency personnel can talk with physicians en route, if necessary. Woronka’s challenge was to find a printer that provided lamination, high quality printing and quick turnaround. He also wanted a printer that could run off of the company’s existing computer network. A further requirement was an intuitive user interface that encouraged swift adoption by the ambulance drivers. Woronka also liked the plug-and-play capabilities of the HDP5000. “If the printer had been too technical for us, that might have presented an obstacle,” he said. “As it is, we realize we can grow into its capabilities easily.” The cards are being printed by the organization’s Graphic Arts Department located in central operations. Woronka’s background helped him choose the right printer for his applications. “I knew what I was getting into,” he said. “The biggest project was converting our old database. The printer was able to tie into our old database just fine. After that, it was just plug and play. 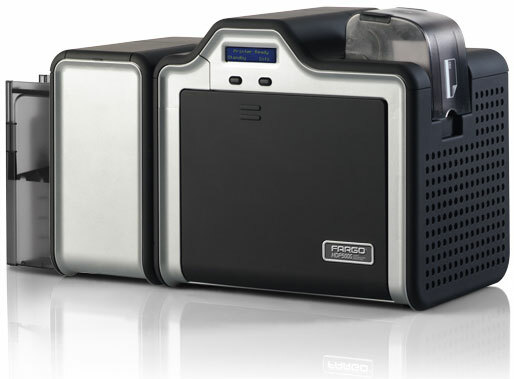 For more info on the Fargo HDP5000 and the right ID card printing solution for your business, contact us at BarcodesInc.